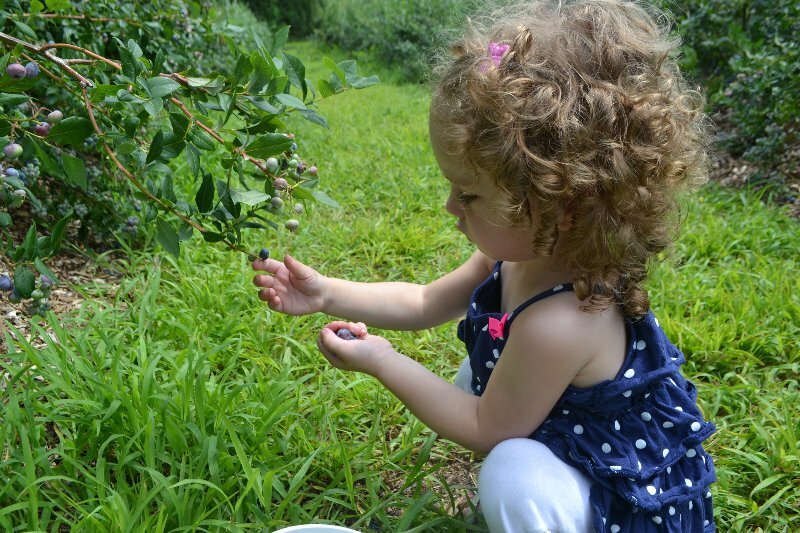 We took the girls blueberry picking for the first time last year and I quickly learned that it is a great activity for toddlers. 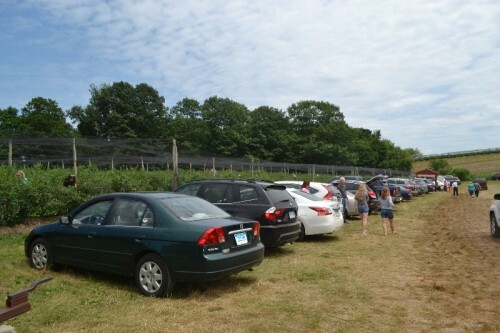 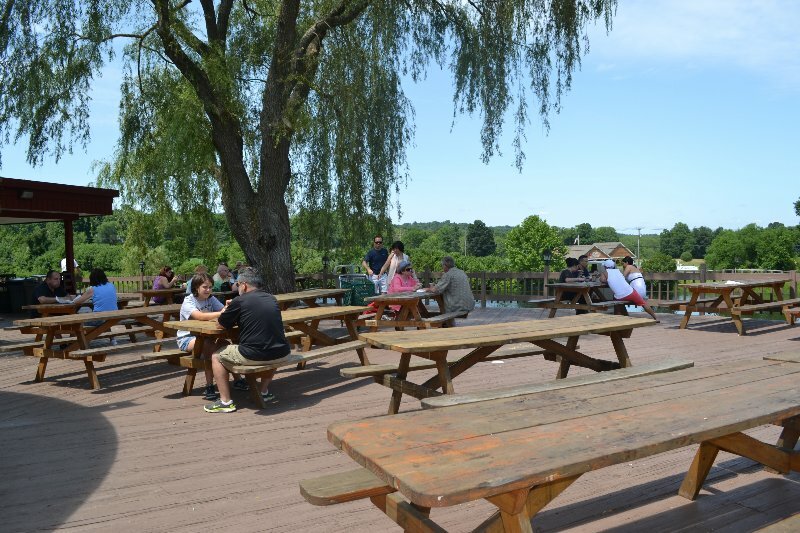 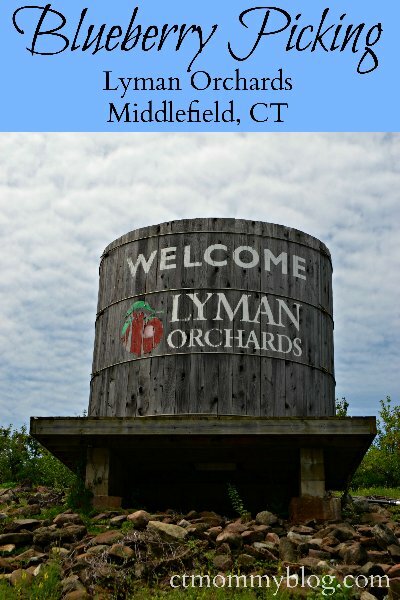 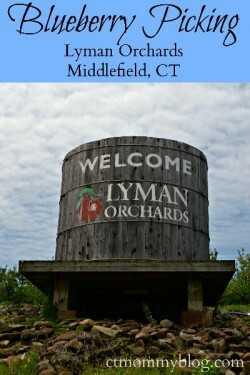 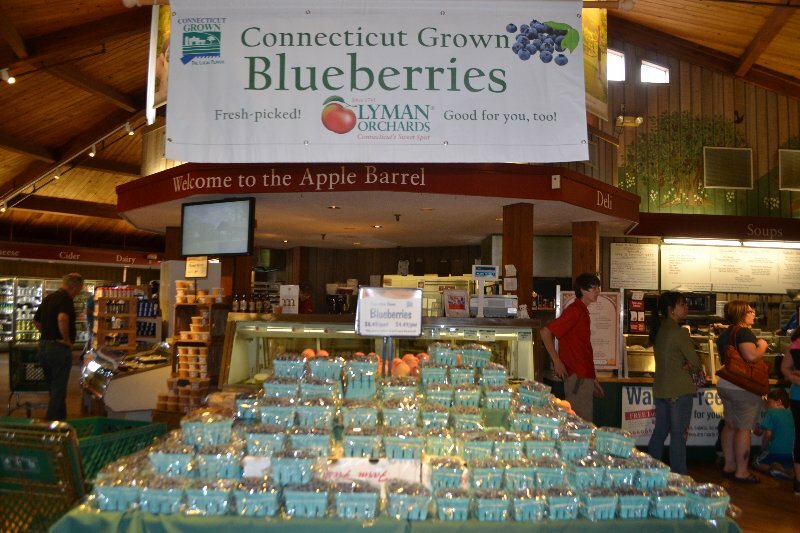 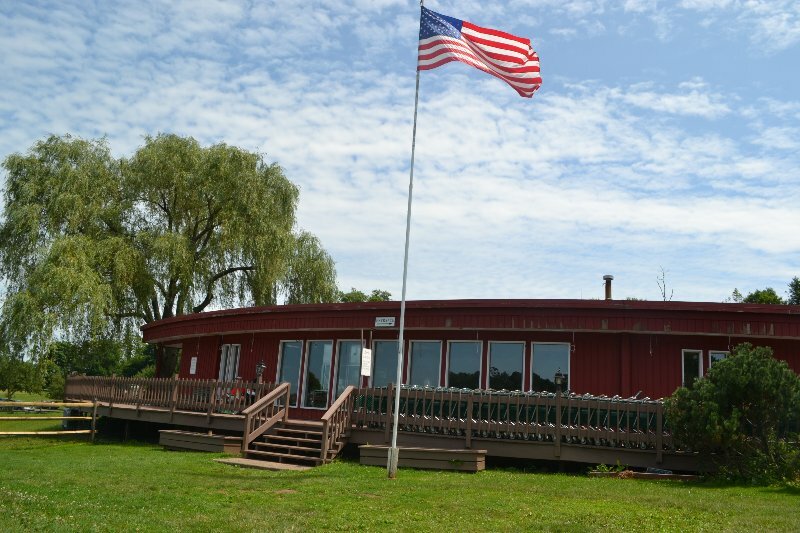 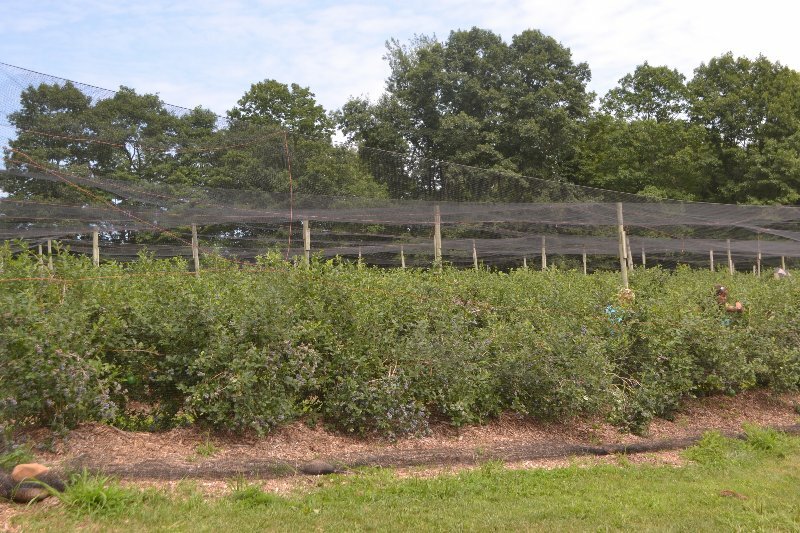 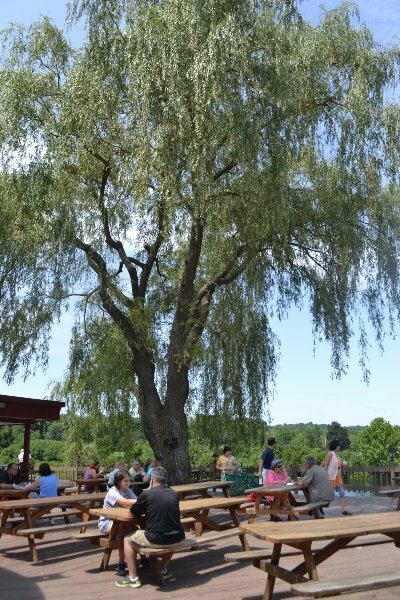 This year we decided to take a trip to Lyman Orchards in Middlefield, CT to pick blueberries. 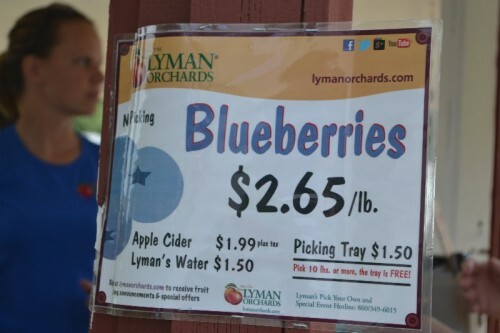 We went to Lyman Orchards for the first time last August for their Sunflower Maze but had never been to pick blueberries. We chose a day with a bit of overcast, which I would recommend since there isn’t much shade near the bushes. 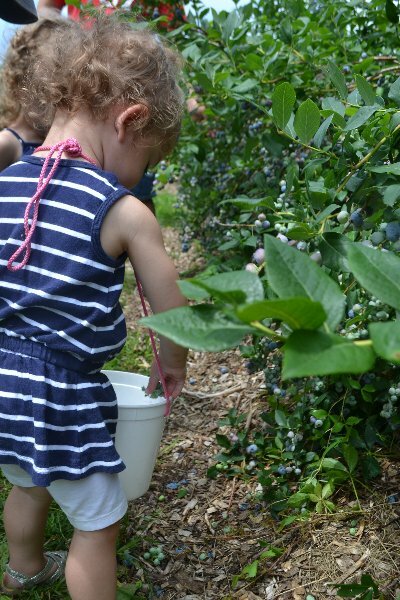 When you arrive on the property you can pick up a bucket to fill. 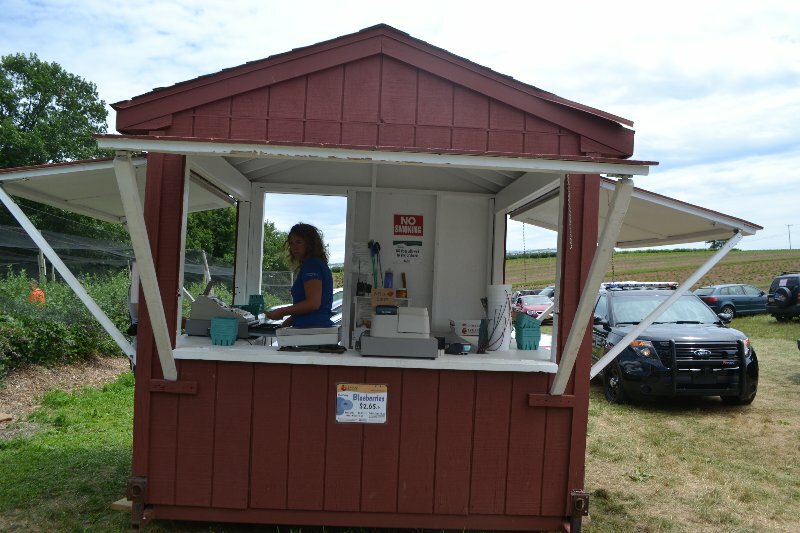 It also wouldn’t be a bad idea to bring your own buckets on the weekend since the buckets are on a first-come, first-serve basis and they run out quickly. 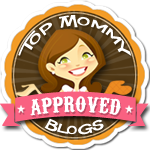 I would also recommend using a baby carrier for your prewalkers because the area is not stroller-friendly. 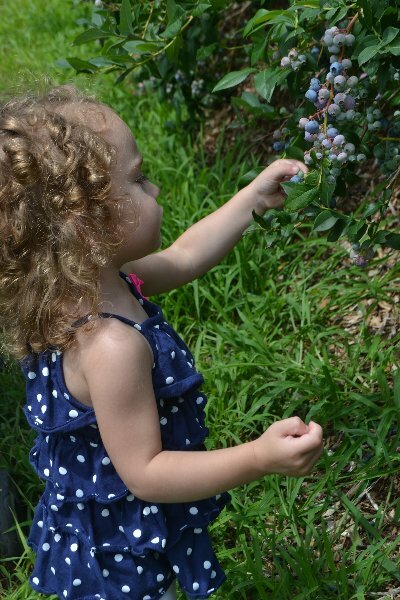 Blueberry bushes are at a perfect toddler height and are easy pick. 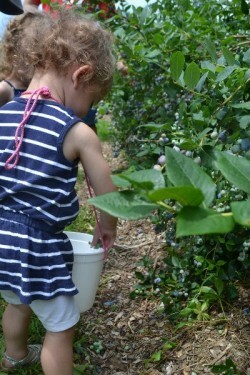 My girls had a great time plucking the berries from the bushes. 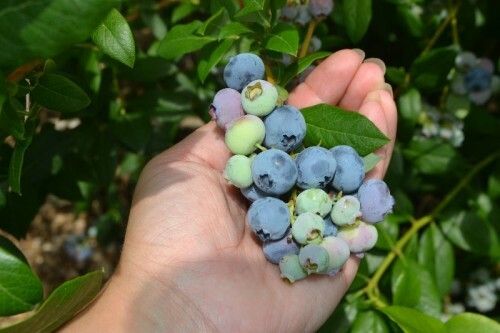 It also became a great way to reinforce colors, since plenty of under-ripe green and purple berries ended up in our bucket! We ended up filling two quarts of blueberries. 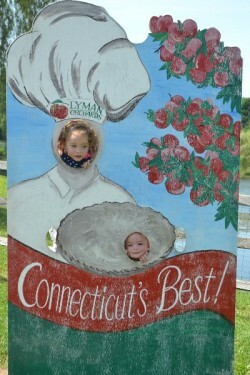 The whole activity lasted around a half hour — just long enough to keep the interest of my little ladies. 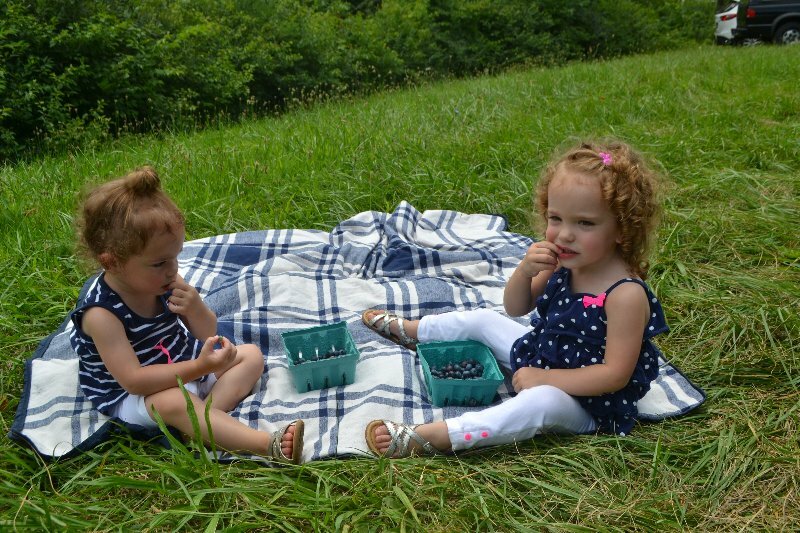 Once we paid for our berries we decided to have an impromptu berry tasting and water break. By the time we were all done, one whole quart had been consumed. These girls LOVE fresh fruit! After our blueberry picking adventure we decided to head to the Apple Barrel store for lunch. 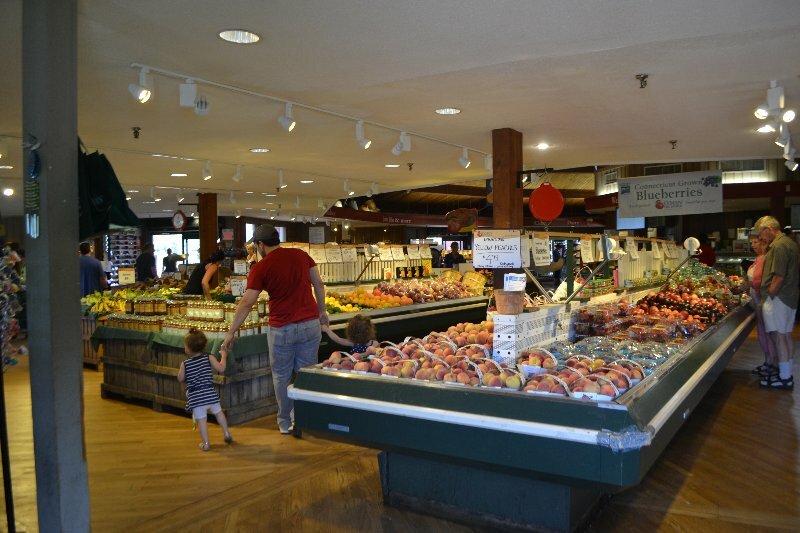 This store features locally grown fruits and vegetables, fresh-made sandwiches, and desserts. There are several tables inside the store and a deck outside to eat your lunch. 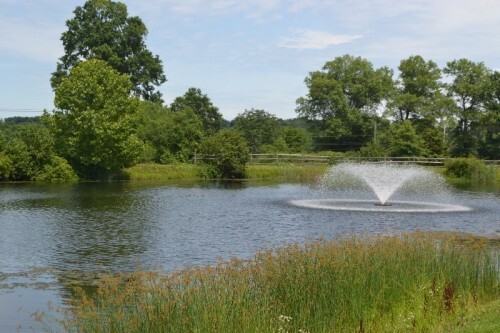 We chose to lay down a blanket on the grass next to the pond. 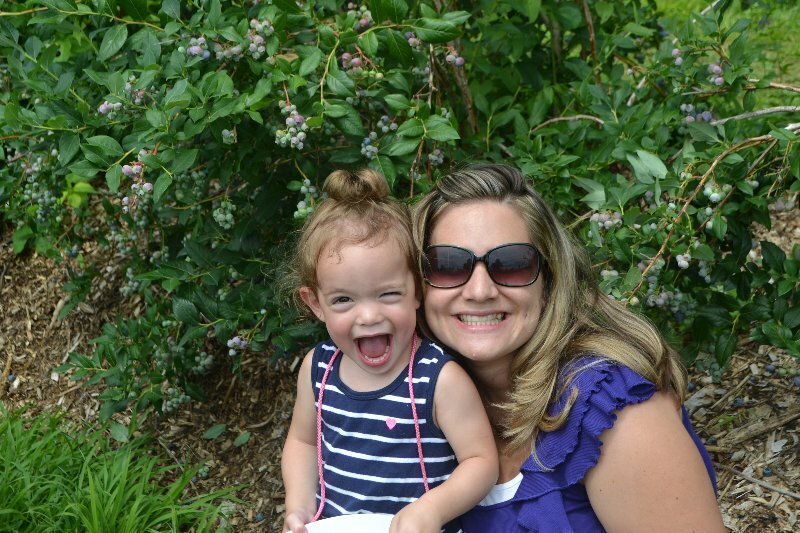 There were plenty of people feeding ducks and playing in the grass. We had a great time blueberry picking and enjoying lunch at Lyman Orchards. 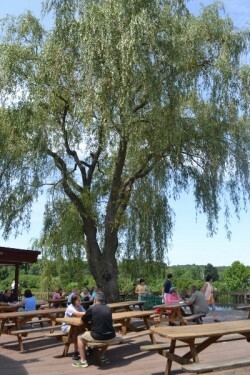 I think next time we return it will be for their weekend breakfast on the deck.